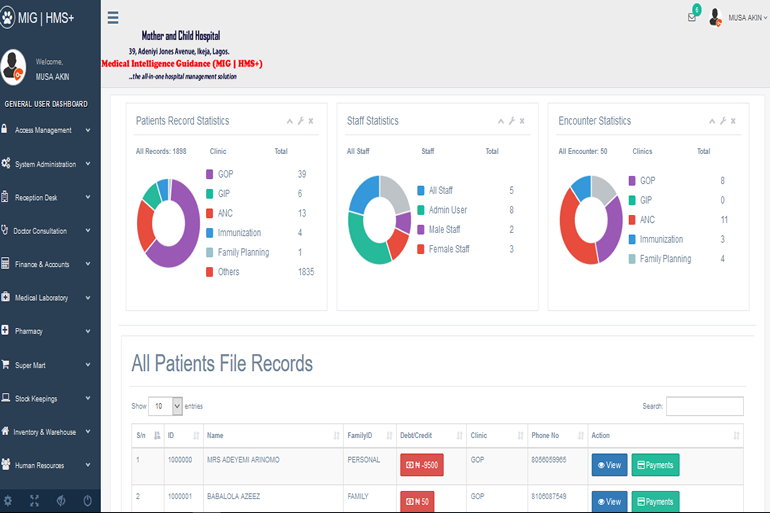 MIG | HMS+ is Hospital Management System Software developed to manage all aspects of a hospital operation. 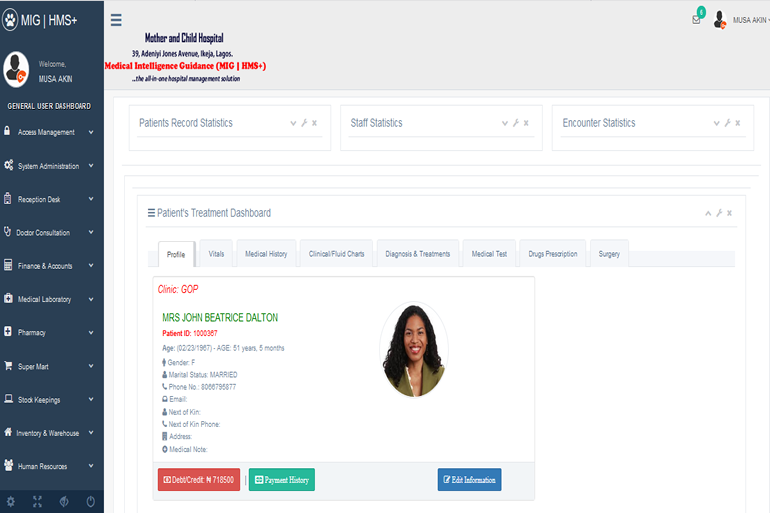 This customizable hospital information system is an integrated healthcare solution which includes OPD and IPD Management, Pharmacy, Laboratory, Ward Management, Online Appointments Scheduling, Secured Messaging, Doctor Portal, Patient and Family Portals, Medical Electronic Billing, Accounting, HR/Payroll and the different clinics within a Hospital. Traditional hospital management approaches encompass paper-based information processing as well as resident work position and mobile data acquisition and presentation.